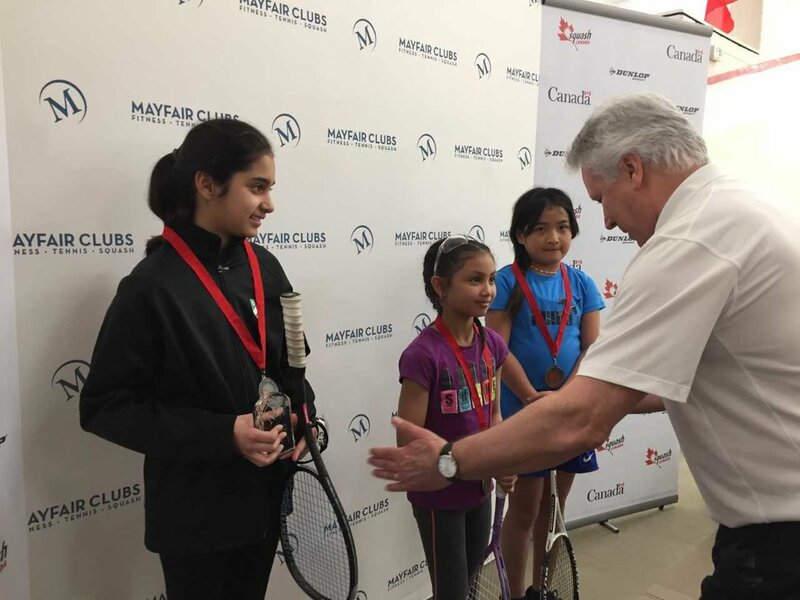 It was an incredible weekend at the Mayfair Lakeshore in Toronto where many of Ontario's top juniors competed in what was their final performance on the squash season, or their final Canadian event, before preparing for international events in the summer. A special congratulations are in order to Elliott Hunt, from Mayfair Parkway (6th from the left in the photo above), who was awarded the Canadian Alex Doucas Memorial Award for sportsmanship across Canada. 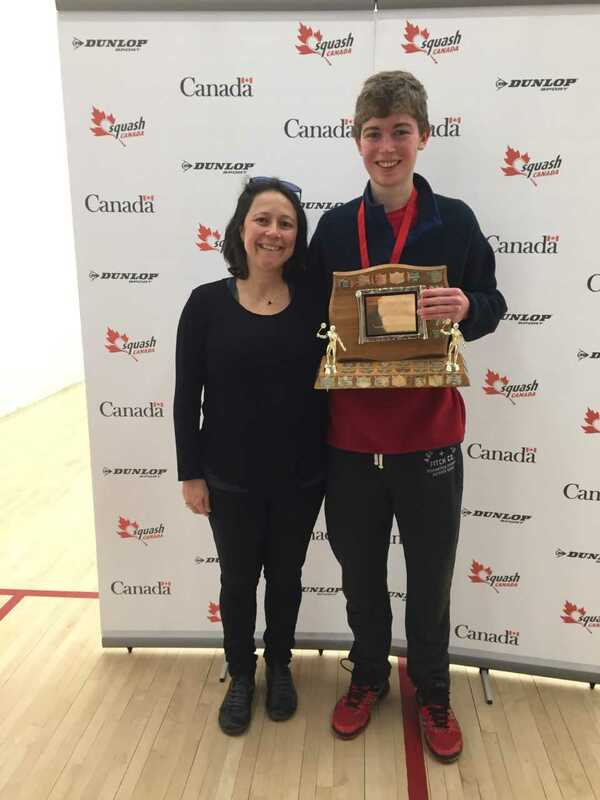 The Alex Doucas Memorial Award is presented to the competitor in the Canadian Junior Squash Championships who best exemplifies the spirit of fair play, enjoyment of life and commitment to excellence, as exhibited by Alex Doucas during his lifetime. 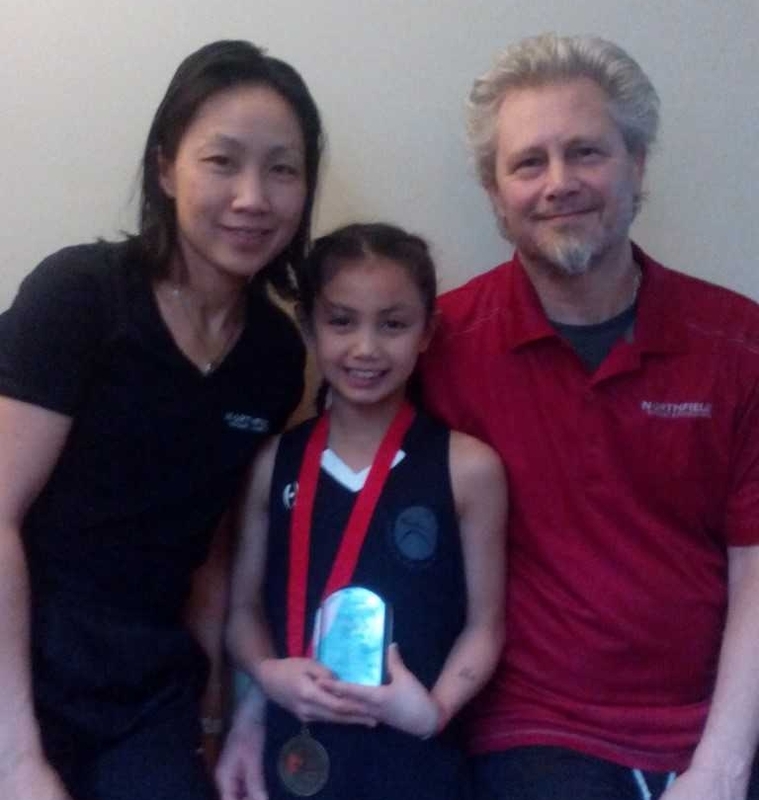 Elliott also took home Ontario's Jim Mason Sportsmanship award this year, and after his nail biter match against George Crowne for 3rd place this weekend, we can see why he is being recognized! 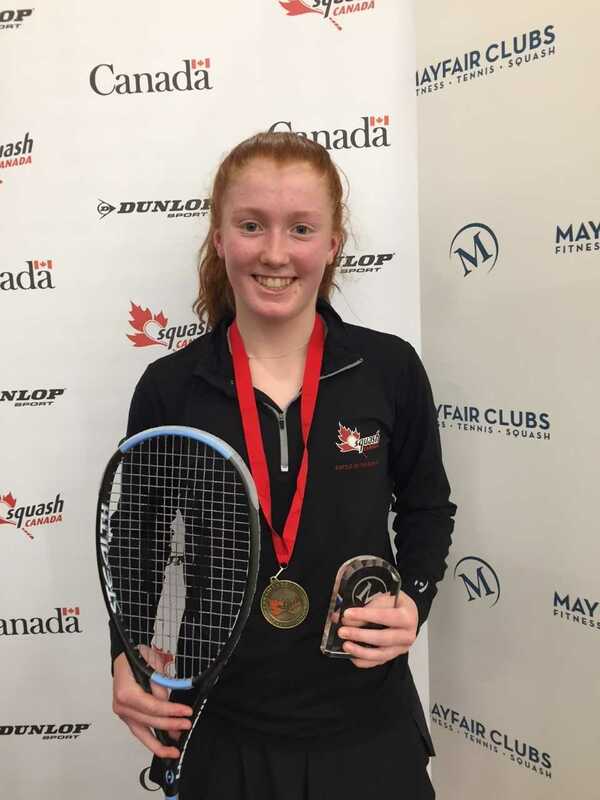 Four Team Ontario athletes secured national titles: James Flynn (BU19), Charlotte Orcutt (GU17), Molly Chadwick (GU15), and Keira Hickox (GU11). Five Ontario athletes made it to the finals, taking home a second place finish: Liam Marrison (BU19), Nikhil Ismail (BU17), Gabby Waite (GU13), Aneesa Tejani (GU11) and Arham Nadeem Izhar (BU11). Lastly, four Ontario athletes secured a third place finish: Elliott Hunt (BU19), Erica McGillicuddy (GU17), Maaz Mufti (BU17), and Daniel Deverill (BU13). 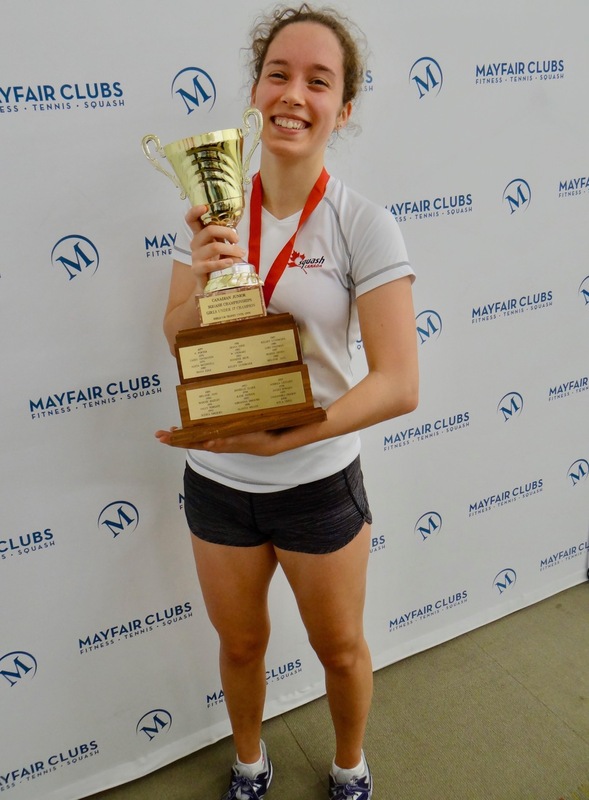 After four action-packed days, the 2018 Mayfair Clubs Canadian Junior Squash Championships concluded with ten new national champions taking home the titles. 565 matches, 300 competitors and ten divisions made for the most exciting junior squash event of the season. 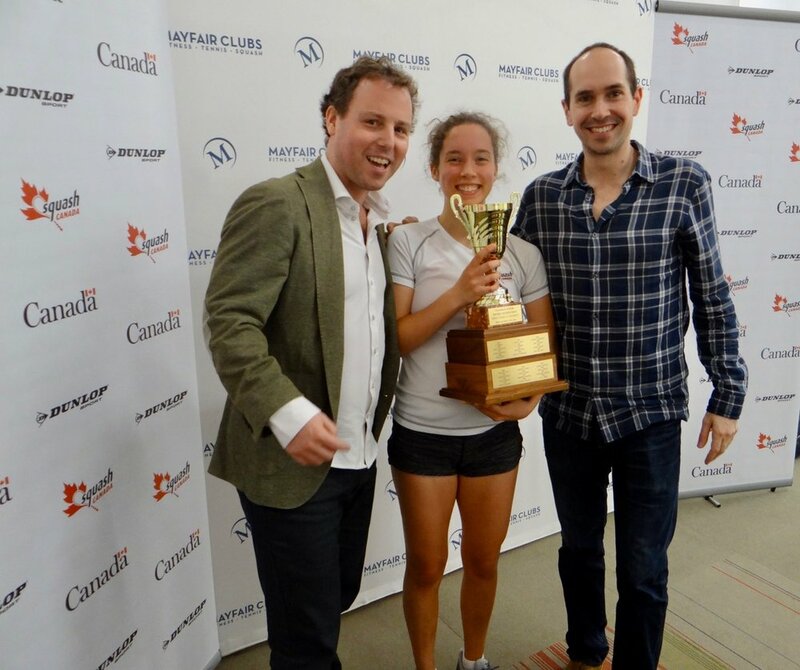 Congratulations to all participants for an incredible weekend of squash - the future of Canadian squash is bright!